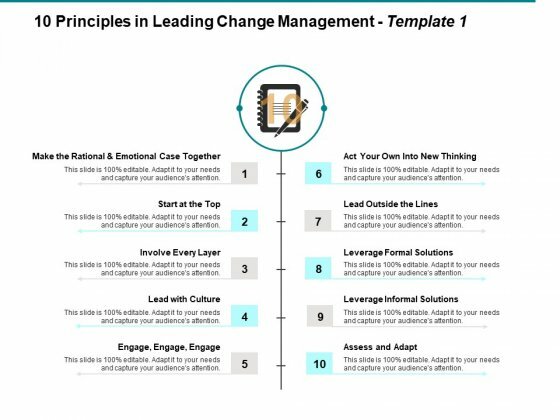 This is a principles in leading change management lead with culture ppt powerpoint presentation outline designs download. This is a ten stage process. The stages in this process are start at the top, lead with culture, assess and adapt. Folks are bound to be impressed by your concept due to our Principles In Leading Change Management Lead With Culture Ppt PowerPoint Presentation Outline Designs Download. Be assured of getting the loan. 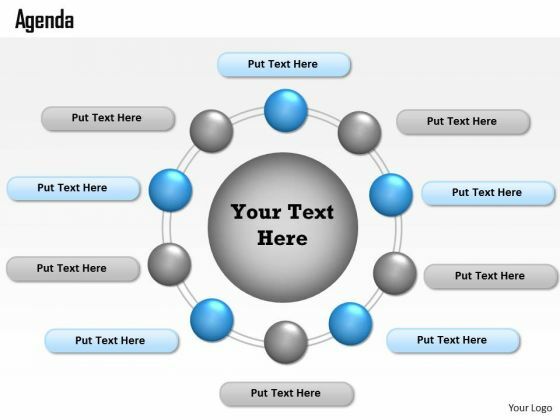 This is a table of contents template 2 ppt powerpoint presentation icon guidelines. This is a ten stage process. The stages in this process are business strategy plan template, executive summary template, company background, team introduction. Enhance connectivity with our Table Of Contents Template 2 Ppt PowerPoint Presentation Icon Guidelines. They will always keep you in touch. This is a table of contents template 1 ppt powerpoint presentation infographic template gridlines. This is a ten stage process. 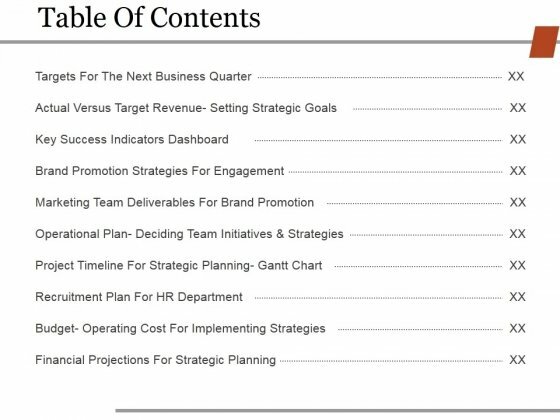 The stages in this process are targets for the next business quarter, actual versus target revenue setting strategic goals, key success indicators dashboard. Set an example with your views. Place the bar with our Table Of Contents Template 1 Ppt PowerPoint Presentation Infographic Template Gridlines. Open Up Doors That Lead To Success. Our Strategic Management Multi Staged Agenda Curve Diagram Business Framework Model Powerpoint Templates Provide The Handles. Put In A Dollop Of Our Consulting Diagram Multi Staged Agenda Curve Diagram Business Diagram Powerpoint Templates. Give Your Thoughts A Distinctive Flavor.